Usually I seem to have a difficult time with Goldfinches as they don't like me to get too close. Though a little leary this one was fairly cooperative. Just behind me in the parking lot sat the cab of a tractor trailor truck, which I thought was rather odd considering New Castle is a very small town and it's a winding road to get here. Definitely not the place you would normally see something like that. But I had to snicker when I looked up into the cab . . .
Do you see the eyes? A bird watcher just like me. 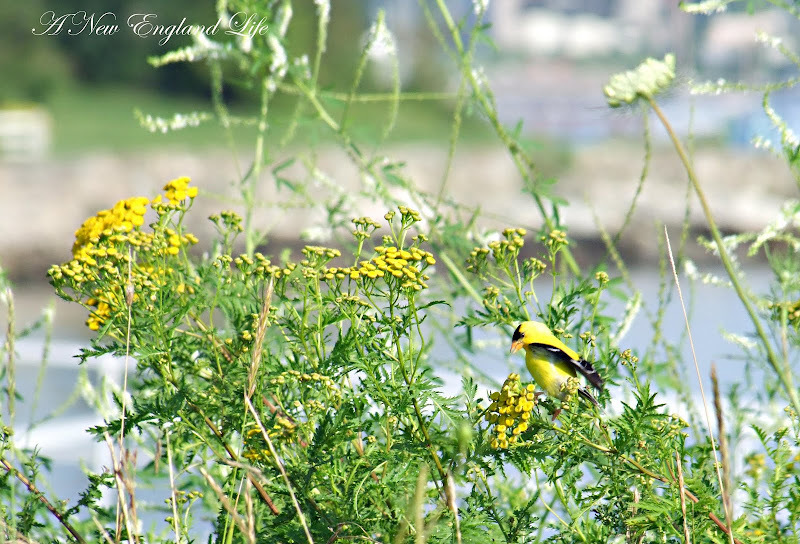 Hey I have a goldfinch in the sunflowers posts today...that is to funny. Your pictures are way better than mine though. Gorgeous Golds! 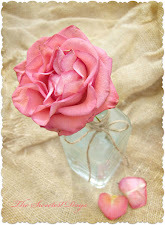 Lovely post Sharon! You've got all of nature cooperating for you, Sharon! I'd say that goldfinch was very cooperative. Great shots. I do love a dog. Such immediacy and authenticity in their emotions. If they had sleeves, they'd be wearing their heart on them. The little Goldfinch has been one of my very favorite birds since I was a little girl and started bird watching. I just love them. Your photography is just gorgeous! The bird matches the flowers! Great photos! I love them! He matches quite well! Great shot...and loved the stalking cat in the truck too! Look at all that sunshine - beautiful pictures, Sharon. Gorgeous Goldfinch and the backdrop is beautiful. I see the eyes, but I had to enlarge the photo. I guess I need new glasses. Have a great week. 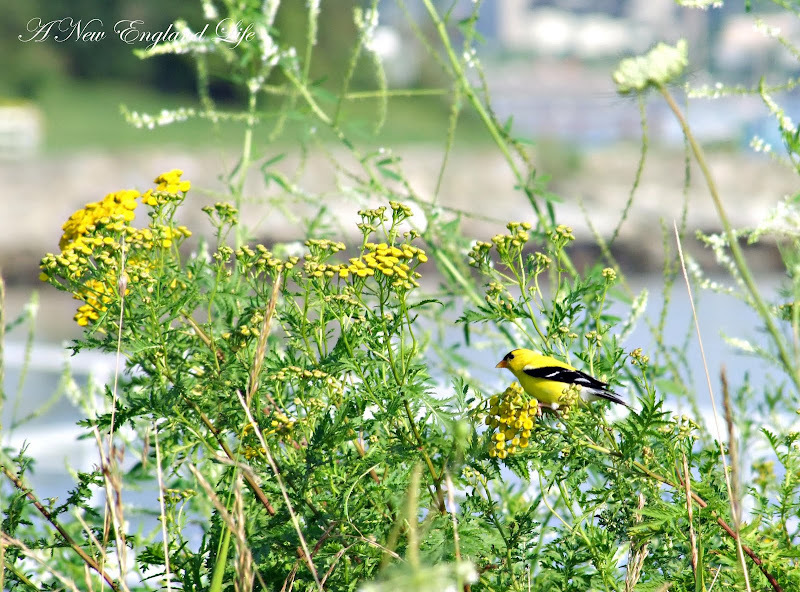 Beautiful goldfinch photos, Sharon! I love them. 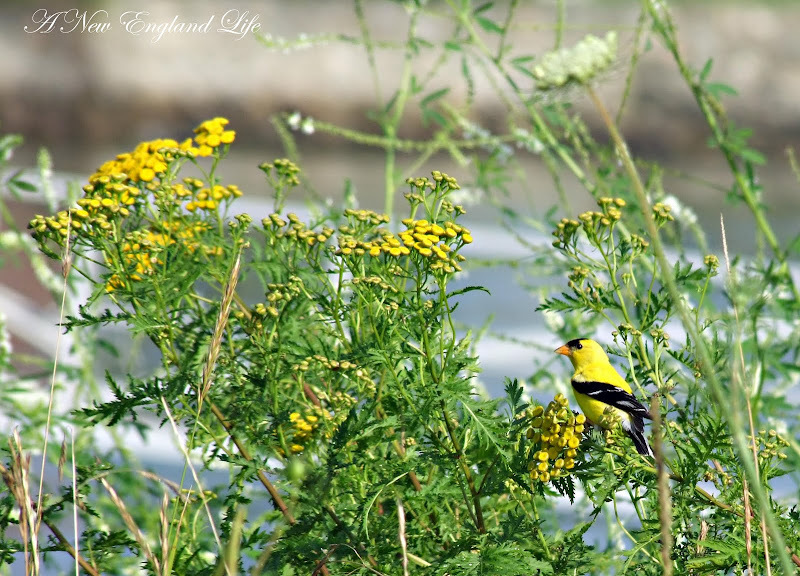 Love the goldfinch and tansy shots Sharon. I left the tansy up north...a bit invasive for a garden but nice in the middle of the yard to mow around. I couldn't see the eyes...I must need new ones! What a pretty bird - great photo. 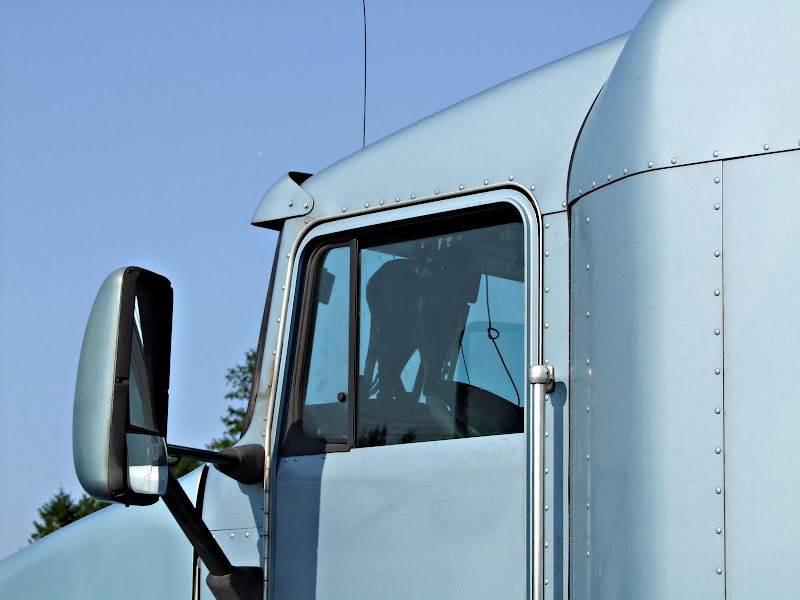 Did you every find out why the truck was there (and a cat inside) ? What a beautiful backdrop for the Goldfinch! 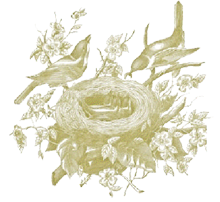 I have the most beautiful batch of Gold Finches that eat from the feeders in our yard, and I can't snag a picture of ANY of them. They just won't cooperate. Lucky you! 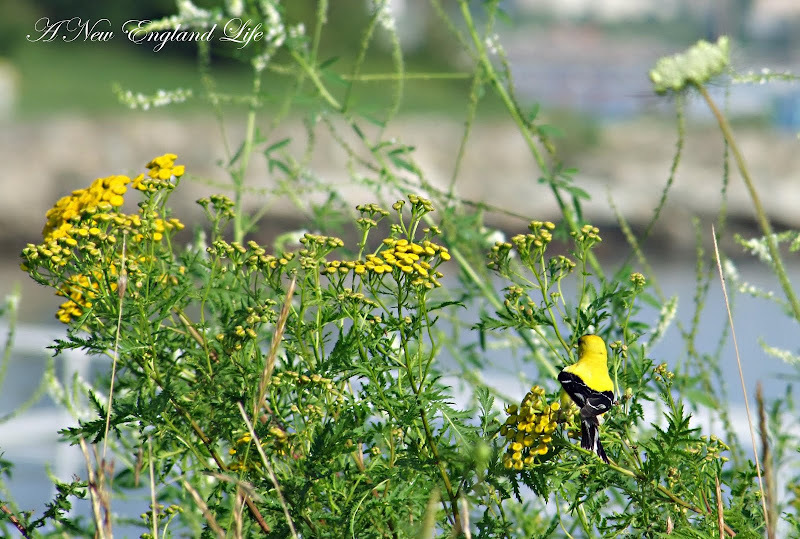 Great photo of that goldfinch -it's almost like he knew that he would look good in those yellow flowers!! :-) Lol at the truck photo! Meow! Nice pics of the goldfinch! Is that at cat or dog? cant tell..guessing a cat. I love goldfinches as well!! But I have never managed to get a shot, so I am really impressed that you did!! I have managed to capture the redwing blackbirds as they gather for the migration, though!